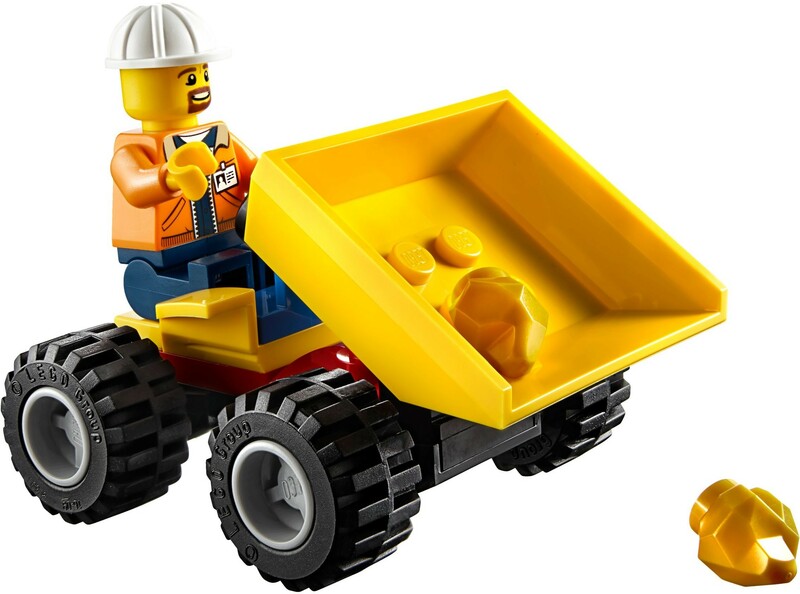 Grab your hard hat and head out with the LEGO® City Mining Team to dig for gold! 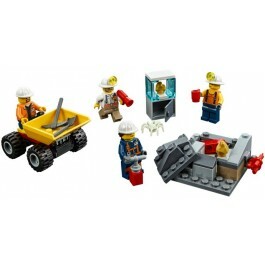 This fun building toy features a rock pile with space for golden nugget elements and breakaway elements, as well as a dumper with tipping bed and space for a minifigure, and a research station. 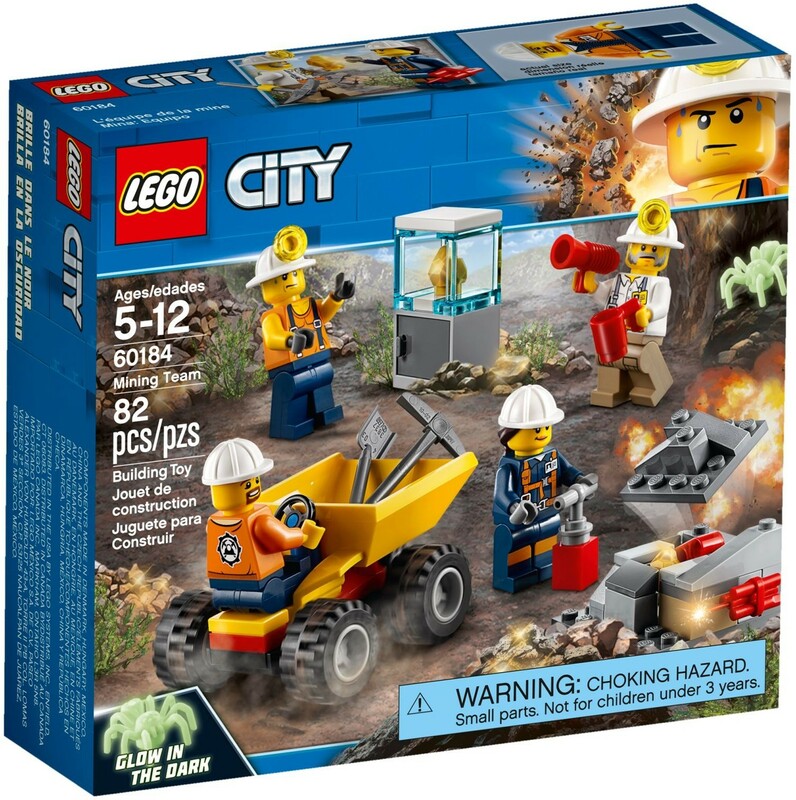 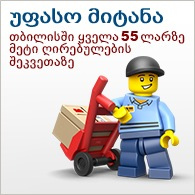 Includes 4 minifigures and a glow-in-the-dark spider figure.